These are many that are completely bewildered by the abhorrent cat deaths that have taken place in two small neighborhoods in Houston, Texas. 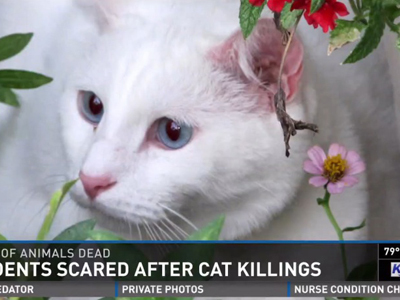 KHOU reports that the owners of the cats believe they are the result of a serial cat killer based on the gruesome nature of the apparent murders. Though it may normally seem paranoid to jump to such a conclusion, more than a dozen cats have been found dead in the two neighborhoods since the beginning of this year. One cat was found cut in half and while others have been the victims of similarly heinous killings. Concerned cat owners in the area have come together to find the criminal responsible, raising more than $25,000 to be used as a reward for information that leads to the cat killers arrest. Residents are also working with the police to find the killer and encourage anyone with information on the case to call the Houston Police at (713) 308-3100 or Crime Stoppers at (713) 222-TIPS. The Cavalier King Charles Spaniel that was exposed to the Ebola virus and placed under quarantine last week has been determined to be free of the pathogen. Though Bentley was found to be Ebola-free, he will wait out the remainder of the 21-day quarantine issued last week in isolation before being returned to his owners. In spite of this, Bentley seems to be fairing well and is still being monitored with vigilance by those who are caring for him. The New York Post reports that Bentley will be tested one more time towards the end of his quarantine to verify his healthy status and that he is not a carrier of the virus. 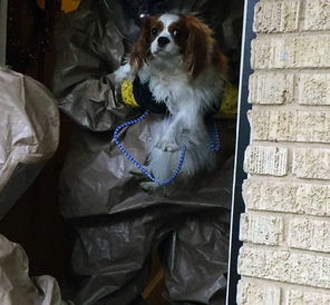 Until then, Bentley is receiving care from Dallas Animal Services, who have continued to play with the dog through the safety and (dis)comfort of hazmat suits. This occasion marks the down slope of the Ebola outbreak, as cases of Ebola continue to decrease. 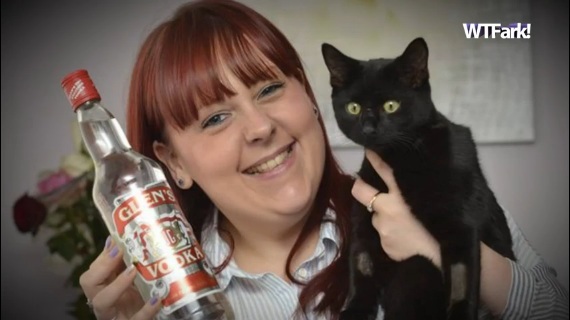 We normally don’t endorse giving your cat alcohol, but in the case of Missey the cat, vodka was exactly what the doctor ordered. Last week, the cat was victim to a cruel attack that resulted in her ingestion of anti-freeze, which is extremely toxic to animals. When Missey’s owners noticed that she was acting strange, they immediately took her to the veterinarian. Once there, anti-freeze was identified as the culprit and vodka prescribed as the solution. It may seem strange that vodka was used to treat the cat, but the ethanol it contains is ideal for neutralizing the substance in anti-freeze that damages the kidneys. According to the Huffington Post, it took an entire half liter of vodka to neutralize the poison over two days, leaving Missey drunk for the full duration of the treatment. The process was closely monitored by veterinarians to ensure that it was administered safely and should not be administered to cats without similar supervision. Missey was just one victim of abuse on the streets of New York reported recently. 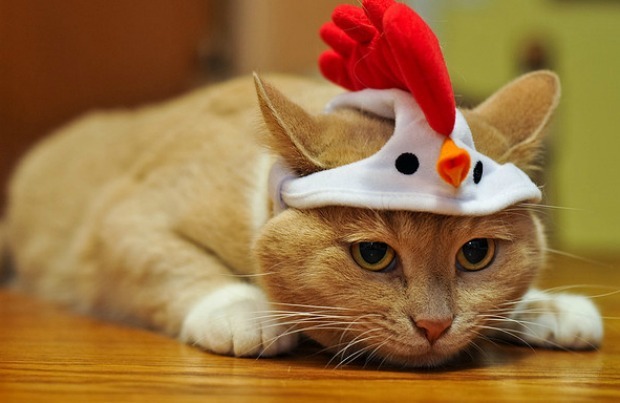 In an amusing post, Pet360 has found ten solid reasons to believe that your cat truly hates you. Don’t worry though, cat lovers, because the list of reasons is more about common things a cat owner might do that would inspire hatred from their feline friends. This means that rather than assuming that your cat hates you because it is a cat, it’s more so a list of things not to do if you want to keep your cat happy. The post is quite humorous and both calls out certain cat owners for their silly behavior and gives others a list of funny things to do with their cat (that is, if they’re okay with being hated by their beloved kitties). If you do find that you’re guilty of some of the actions on the list- don’t worry too much, since simple things like petting your cat or staring at him are included on the list. This is the last issue of the EntirelyPets Weekly Recap- thanks for reading!